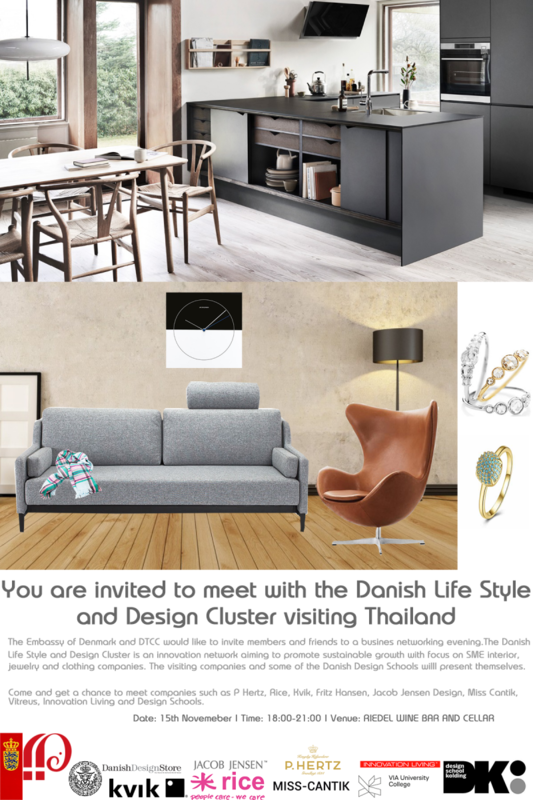 In connection with the Danish Life Style and Design Cluster’s visit to Thailand, the Embassy of Denmark and DTCC would like to invite members and friends to a business networking evening. 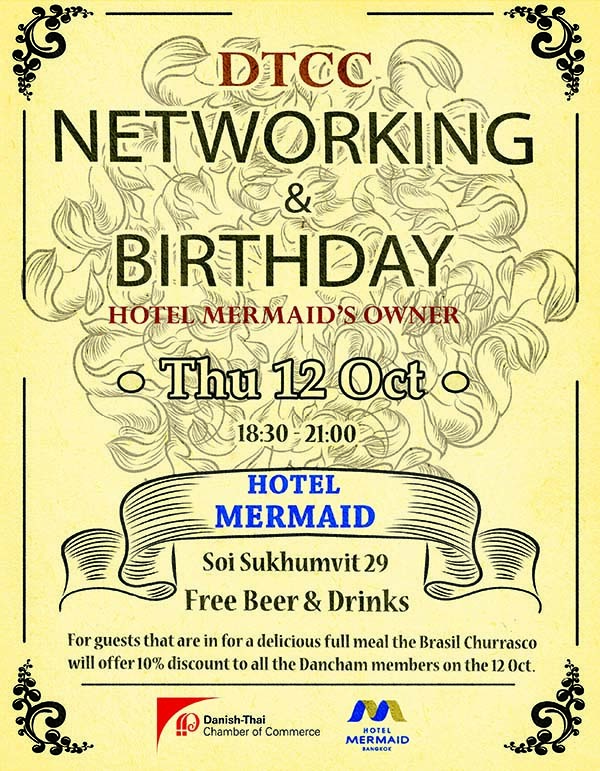 Each of the companies will present themselves to the companies here in Thailand and also have the opportunity to meet both new and old members of the Chamber. 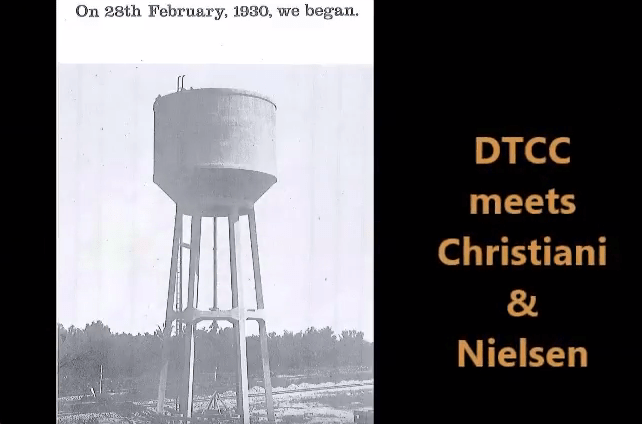 Some of the Danish Design Schools will be present as well. The Danish Life Style and Design Cluster is an innovation network aiming to promote innovation and sustainable growth with a focus on SME interior and clothing companies as well as in the creative industries. Come and get a chance to meet companies such as P Hertz, Rice, Kvik, Fritz Hansen, Jacob Jensen Design, Miss Cantik, Vitreus, Innovation Living and Design Schools.